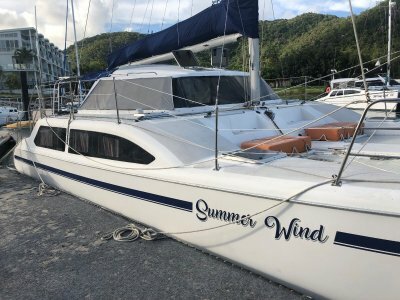 Professionally built round bilge steel yacht, launched in 1991,46ft on deck, 50ft overall, with large sugarscoop with stainless hanhold railings for easy boarding from dinghy. 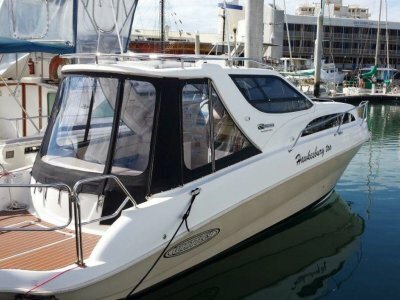 90HP diesel with low hours, good electronics and well equipped for long range cruising. 2 doubles, up to 4 singles, hot . . . 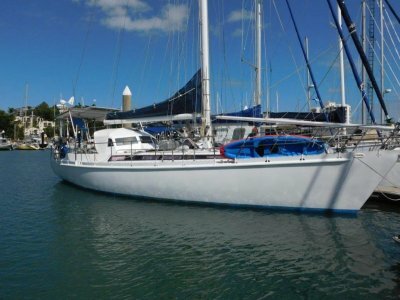 In Lovely condition, with very low hours of operation having everything "as new" These boats can be trailered. 300HP Mercruiser with duoprop sterndrive. And only 190 hours logged (Jan 2019). Current survey available. 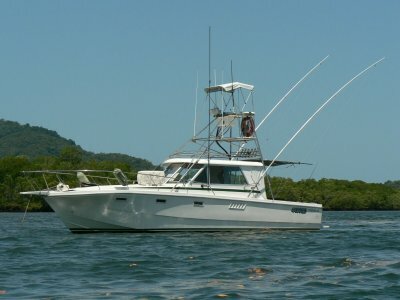 2 x double berths, dinette, enclosed head, 2 fridges, raymarine combo . 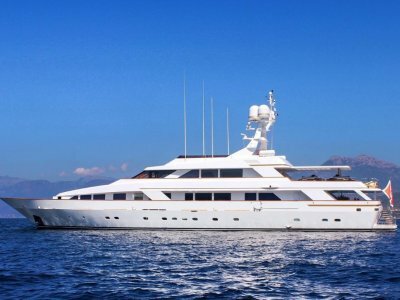 . .
New boat, built to order to your specifications in Italy. 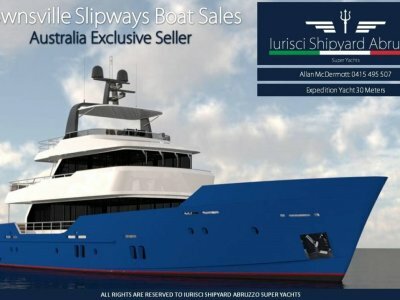 30m steel hull with aluminium superstructure, bow thrusters, stabiliser fines optional, as is the choice of single or twin engines. 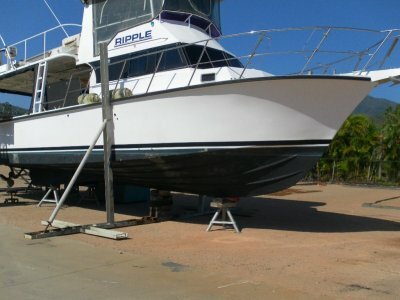 Priced indiacted is for the "Silver Edition" single engine, no bow thrusters of stabilisers. This . . . In 2C survey for charter fishing. Well maintained and in nice condition, less than 4000 hours on engines since rebuilt in 2012.. Current 2C survey for 8 plus 2. Owner wishes to retire and could include any advertising and promotional material in sale. Teak laid cockpit floor and cockpit coaming . 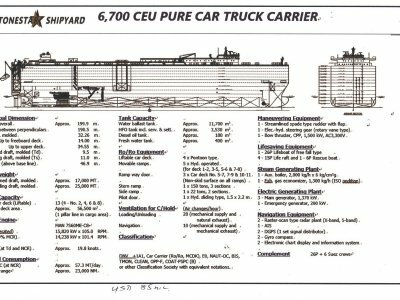 . .
199m, 7600 CEU car and truck carrier. 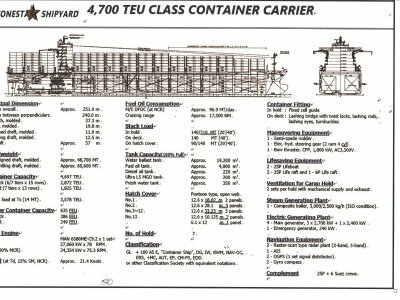 Classification DNV +1A1, car carrier, RO/RO MCDK, EO, NAUT_OC, BIS, TMON, Claen, OPP_F, COAT_PSP (B) or other classification society with equivalant notations. Mian engine, MAN 7S60ME-C8,15820 kw at 105 rom. Cruise speed approx 19.8 lnots, fuel oil consumption . . .
251m container ship. Scantling DWT, 60,600 MT. Main engine 27,060 at 78RPM MAN, cruise speed approx 21.4 knots. Cruising range approx 17,500nm, fuel usage approx 96.9 MT per day. Water ballast tank approx 19,200 cubic meters. Fuel oil tank, 4000 cu m, diesel tank, approx 220cu m, fresh water tank . . .
119m ro/ro vehickle ferry. 21.8m beam, design draft, 3m, speed 11 knots. Main engine 1700kw, aux engine 300kw. 300kw bow thruster, 225kw stern thrusters. 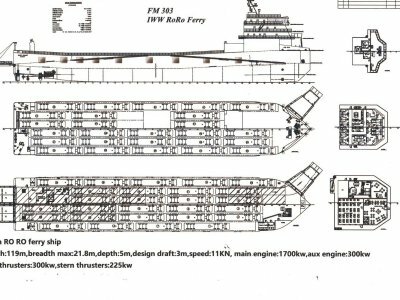 Manufactured by Stonestar Shipyard in China, who have a workforce of 300 to facilite economical speed of build, and also do general drydock . . .